Furniture Connexions, Briarhill, Galway have launched their 2017 Summer Sale Brochure this week. Readers will find 24 pages full of inspiration when it comes to design and quality for every room in your home. 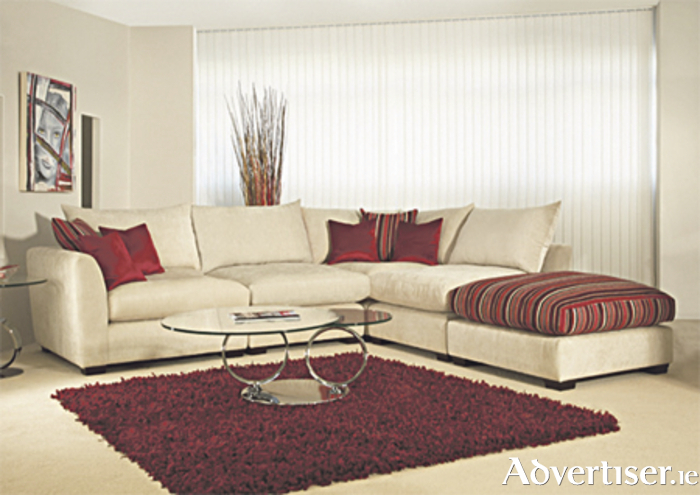 They have a superb selection of sofas, dining, beds, bedroom, occasional and accessories for every style and taste. With up to 50 per cent off, there has never been a better time to buy and take advantage of the fantastic savings on offer. On display at Furniture Connexions flagship store in Briarhill Business Park, you will find brand names that have been trusted for generations, including Skovby, Calia Italia, Harrison, King Koil, Odearest, Myers, Polo Divani, John E Coyle, Celebrity, and Nolte Mobel, to name just a few. For a limited time only, Furniture Connexions has special double discount savings and package deals in all departments, so hurry if you want to take advantage this summer. Furniture Connexions offer free nationwide delivery and assembly on orders in excess of €500, with their own dedicated delivery team. This includes placing the furniture in the room, assembly if required, and removing all packaging for recycling. As part of the summer sale event, Furniture Connexions is also offering free old mattress removal when a new one is purchased. Customers can call in store to pick up their own copy of the new brochure or visit www.FurnitureConnexions.com to download the latest version. To mark the launch of the 2017 Summer Sale Brochure, Furniture Connexions is giving away a €500 voucher to one lucky winner. Visit the Furniture Connexions Facebook page for full details on how to enter. Furniture Connexions is open Monday to Saturday from 9.30am to 6pm, and is closed on Sundays and Bank Holidays. For more information call (091 ) 709550.